Whether it's to slumber at your feet or snuggle on the couch, help your dog get up and down with the Folding Pet Steps. While lightweight enough to be portable, these steps are study so your pet won't hesitate to use them. We've found them to be an essential item for those with older dogs who can no longer make the jump up onto the couch or bed. 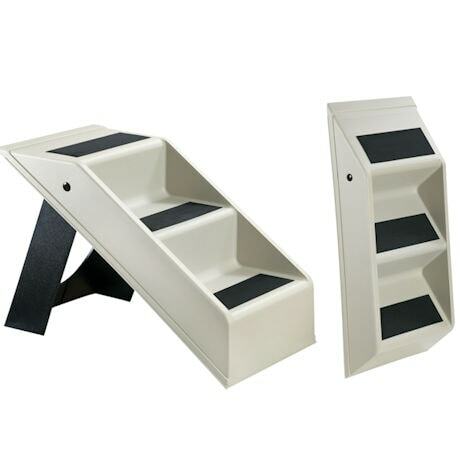 Our lightweight pet steps collapse down, so you can easily take them with you wherever you go, but you'll probably want multiples for the bedroom, living room or den. 26¼" x 4½" x 12¼".